"And -- one --- two --- three --- four, heads up, backs straight, five --- six --- seven --- eight. And --". Abigail sighed, another class had begun. Madame had begun too, "And – one --- two --- three --- four. No, no, Sophie, your hand is dropping, hold it up, pleeeese." Abigail paused for a second in a deep, well controlled plié, the first ritualised exercise of the day. At least I arrived in good time she thought her eyes furtively swiveling towards the window and the outside world. Out there was sun, a few bright splashes of blue sky. Not so long ago that sun would not have been at all remarkable, days at home were usually sunny if not particularly exciting. "Pleeese Abigail". Abigail eyes shifted forward. She stared at the scraggly bunned head in front of her. Gerty really did not have enough hair for a bun. It made her neck line look awful. Strands of hair stuck out from beads of sweat. Was Abigail forever to be surrounded by sweaty bodies, striving, aching. Aching for what? Madame, like most of the other well known ballet teachers in London had once been a soloist, or ballerina, depending on whom one talked to, in one of the famous ballet companies. So much was based on hearsay. People one met training in particular studios would say so and so had been important in this or that company but it was hard to get accurate background information. At least at the School the teachers were either so well known one recognized them at once or they were still dancing leading character roles at the Opera House. Some of the independent teachers had glass framed certificates stating their high achievements in ballet examinations. Only a very few had framed photos of themselves as dancers. Madame had no pictures or certificates. Abigail came to her because she more or less taught the Russian way. Abigail preferred Russian dancers, especially from the Kirov; they danced more to, and with the music. Madame clapped her hands. “One, two, out, one, two, out, one, two, out. Keep it up, ma petite keep it up." It was hard to imagine this over weight woman as a soloist for any company. "Bravo, bravo, my petit ones, n’est ce pas. Rise. And one, two, out, one, two, out." Abigail looked directly at Madame, her green eyes alight with laughter then turned her head away trying to hide a grin. Why did Madame pretend she was foreign, most of the teachers acted this fantasy, almost all were English. Madame had been brought up in London. Her broken English was just nonsense, it went however with the role. "Now we shall do that again, s’il vous plait. Soon you will all be soloists." Abigail's well pointed foot turned up in disgust. How was that to be achieved? No one gave advice, it was almost impossible to even find out when or where auditions were being held. Every one expected their money though. "No not like that Abigail. What ever are you thinking of. And one, two, and one, two. Keep those frappes close to the ankle." Sweat settled along Abigail's arms inside her long sleeved leotard, it settled along her legs inside the tights, even the leg warmers were damp now. Her face felt flushed, fair skin red and hot, fair hair sticky. Would it be better if she was a soloist? Perhaps then she could dance as she wanted to. Discipline was of course necessary, but surely by now she should be able to experiment. In spite of the sweat now dropping from her body today it was hard to warm up here, really warm up. Easy to get injured when ones muscles were cold, several of the girls at the School had been injured that way, especially girls from hot countries. No one had bothered to tell Abigail, or any of the others, how to be careful, even here in one of the great ballet centres of the world, London. Some had learnt a very hard way. She, Abigail was warming up nicely though today. Perhaps the sun even if from outside was giving her its warmth. "Grande battlement en rond s’il vous plait. Up and round. Back. Hold. Yes, yes. Hold that position. Bravo Stevan your arm is in an excellent position". The young man looked a little surprised. Madame never took much notice of him. His arm sagged, his leg dropped. Why did Madame think Stevan was dancing well today? Abigail thought he looked awful. Was he upset about Rosemary? Abigail watching this performance through the mirror lost her rhythm. A sharp twinge of pain in her lower back, she frowned. Just how many girls had been crippled for life because of ballet? This exercise, all the barre exercises, obviously served some purpose, but she had never had any detailed lessons on anatomy and the affect such drastic exercise might have on the body. Neither had she ever attended any class that gave advice on what to eat. Never. Madame's voice echoed round the music, or did the music, hardly music, more a series of beats plonked out on a keyboard, echo round Madame's voice? What was it like outside now? It had been mild this morning, before Abigail vanished into this gloomy, decaying building and the studio. Were those leaves she could see, leaves budding on that tree at the corner across the lane, there in the shadow of the Royal Opera House? She turned her head to get a proper view. "Sophie pleese, pleese stop tying and untying your hair ribbon." Poor Sophie, she was fidgeting a lot today even for her. There on the floor near Abigail's well placed pink slippered foot was a sliver of gold, sun. It was trying to find its way into the room shyly, secretly. And what a stark, uninviting room it was. Bare floorboards, wooden barres round walls, an upright dusty piano, old squat box in one corner near the cupboard from which came the sharp smell of rosin. Had dance enthralled the sun? At least at the School the rooms were light and airy. Perhaps the sun wanted to see itself in a mirror. Of course wherever there were dancers there were mirrors. And what useless things they usually were too. Difficult to get any decent reflections in them, they were often smudged with sweaty dust. Mostly they showed ones self and a dozen other girls looking all exactly alike contorting their bodies into extraordinary shapes just because they were told to, and being young and lithe, they could. Most of the girls spent the whole time when off duty so to speak, but still in ballet 'uniform', preening and posing in front of them, mute and obsequious. Did any one really see anything reflected in those dull things - other than what they wanted to see, were told to see, or supposed they saw? What did Abigail herself see when she looked in the mirror? 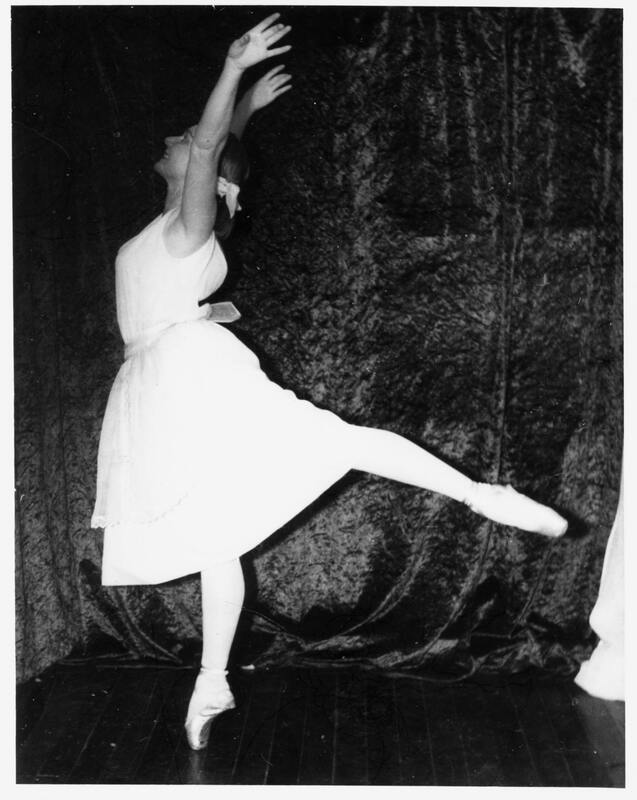 Nothing much, an outline of a young woman, slightly blurred, hair in a bun, in leotard and tights, the dancer's work-a-day costume. That and lots of shadow. “And one, two, slowly stretch the leg, developpe Gerty, developpe, up, up, as high as you can, developpe, stretch, higher, higher”. Madame raised one arm in imitation of the leg the class was stretching out from a developpe into an arabesque. She had on a wildly embroidered brilliantly coloured blouse with wide, half length sleeves. With this gesture one of the sleeves decorated with rainbow dragons fell over her face. A muffled voice continued "Hold mon petits, aahh. and so down back to third." The dragon floated down to reveal once again Madame's carefully made up face, once it would have been very pretty, and dyed red hair arranged in a vaguely Pavlova like style. "Repeat on the other side". How was Rosemary, Abigail wondered as everyone about turned. Poor Rosemary loved ballet, really loved it, or at least appeared to, was always practicing, talking about it. And yet now it was unlikely she would ever dance again or even walk properly. Her mother had flown over from New Zealand to look after her daughter. Should Rosemary ever have come, she did not look very strong. Would probably be going home soon. What would happen to her then? "Sophie surely you can hold your attitude longer than that. Good Abigail, ma petite". Abigail nearly lost her balance but Madame having turned her attention back to Sophie, glided dramatically over to her, and did not notice. Abigail recovered quickly. Why was Sophie here? She was entirely the wrong shape for a dancer, any one could see that and yet day after day she would be in class, sweating and stretching and crying. Her father was a painter, mainly portraits, they lived in a rather grand house, good to have a family so close. Why had the School taken Sophie? Did they think she wanted to be a teacher? "Into the centre please. You Abigail s’il vous plait the front today. "Blast, thought Abigail. She felt a little cheered when after finally positioning herself to Madame's satisfaction found she could see the tree. And yes its buds were there and there was a bird perching on one branch. There was more to life than this suffocating, sweaty universe of endless exercise and self-centred confusion. The music gyrated itself about the room, up and down, round and in, in and out. Legs, arms, heads, youthful bodies, moved all around the room. Abigail leaning on the barre waiting for her turn, watched two girls go through the required exercise. Madame's studio was not really big enough for all of them when it came to enchaînements. However it was good practice for dancing on small stages and gave one time to look out of the window, if necessary via a mirror. One was supposed of course to be watching the other dancers, learn from their mistakes. Bitchiness and boredom though were the main result of this watching. Abigail preferred the window. Yes the sun had found its way again also via a mirror on to the bare floor. It was touching Madame's leg, what one could see of it. Madame wore long, loose flowing skirts, usually as today, black, which she pulled up to her knees when ever she demonstrating some particular step. Her neat delicate feet were certainly those of a dancer. What had she been like as a child? Had she really wanted to be a dancer, be inside, in a stuffy studio when all the world was busy outside. Had she really chosen this life of strain and physical exhaustion, freely chosen it? Had anyone? Abigail liked Madame's adagio enchaînements. Her arrangements usually gave space in which to move, allowing one to fold into the music, bend with sound, silently breathe into life. They gave breadth and depth - for a few minutes - for the Dance. In this respect Madame did train the Russian way. "Higher Abigail, use your line." 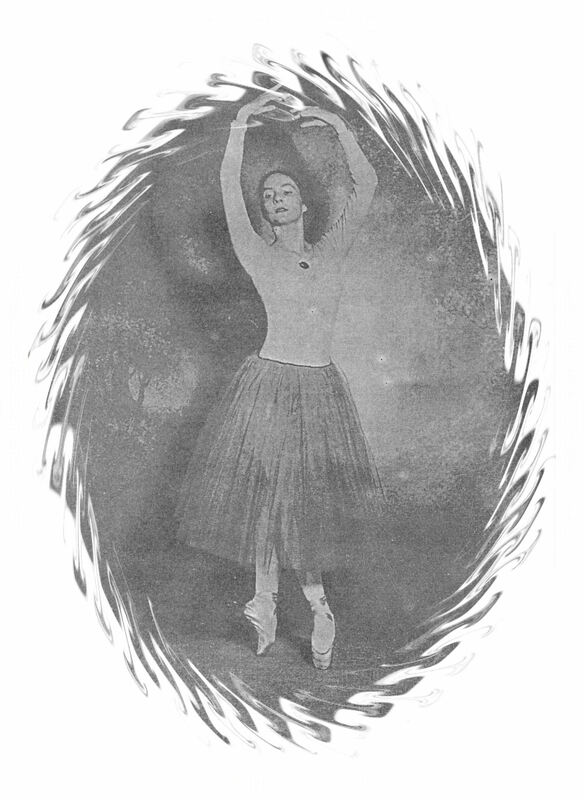 Abigail adjusted her body for a higher arabesque, arm lowered downwards towards the floor, head in correct position to her leg and arm. She knew she had excellent line. “Out, yes, bravo. Hold it, hold it. Ahhh” What was she, Abigail, doing, trying so hard? "Points now mon petites." Abigail walked across the room to her point shoes on the floor near the mirror by the window. After carefully flexing the shoes she wound the ribbons from one shoe around a slim ankle and neatly tied them. These points were nearly new. Would have to make sure they were worked in before taking too much risk. She smiled at Sophie. Sophie turned her head away. Oh dear she looked close to tears. Abigail carefully wound the other shoe’s ribbons round her other ankle and neatly tied them. Why was Sophie here? Had it anything to do with her father. Abigail had particularly admired one of his portraits of Sophie, a head and shoulders of her as the doll in COPELL1A. He had others paintings of Sophie, sold several of them. Perhaps he would do her some day, be better than a mirror, he was rather expensive though. Deborah, Abigail's sister had been given one of the Sophie portraits as an engagement present by her fiancé. Abigail had introduced her sister to the painter. Sophie now was scowling at herself in the opposite wall mirror, a bad sign. Abigail stood up and on to her points. With strong ankles, not too high an instep, third and fourth toes of both feet of almost equal length this was comparatively easy for her. It would be better, would always have been easier if she Abigail had not been physically built for ballet – or any good at it. She had tried the ‘no good’ route once but that had not worked. She had failed an important ballet exam back home, and what happened, nothing. She just had to do it again, keep on going. Had things just gone too far by then for everyone? No, she should never have started it. But then she hadn't started it, it was decided for her. She had no choice, no real choice, in the matter. The sun had moved out of Abigail's sight as she worked again at the barre. Patches of the blue sky still could be seen through the increasingly fogged up windows. Perhaps she would miss Madame's afternoon’s class, not go to any other class either, go for a walk along the Thames, out in the real world. She could go and see Rosemary. Rosemary’s spine was badly injured, did it at the School too, wrong for that to happen there. It was during a pas de deux class. Stevan had been there. She, Abigail had had few injuries. A twisted ankle which the local doctor had stupidly tightly bandaged turned out to be a torn ligament which was eventually treated by the School's blind physiotherapist. Unlike many of the girls she had not even grown too tall. That would have been an easy way out. For a second the young woman poised delicately on strong arched feet dreamt of release. Stevan was now leaping about the room, the girls leaning on barres watching him. Funny enough, apparently it was Abigail's physique that had started it all. Supposed to be good for her weak chest, whatever that was. She had never had asthma or other chest complaints. Did doctors have shares in ballet schools, so many girls seem to have started ballet classes after some doctor’s opinion that it would be good for them. Ballet had given Abigail powerful legs, supple body, tough diaphragm, but what had it ever done for her chest? That ‘weak’ chest, that whole body was now damp and sweaty all over, legs heavy, arms tired, toes curled and scrunched in ridiculous shaped shoes. And her mind? Ah her mind was in the strange world, a sort of Alice in Wonderland inhabited by nearly everyone vaguely connected to the Ballet Scene. Even Maggie the pianist was looking out the window in a vague way as her fingers automatically stomped up and down the key board. Why was Maggie here? Was this the only work she could get? An interesting oldish lady, lived on her own somewhere in Camden. "Abigail, Abigail ", Madame's carefully cultivated broken English suddenly disappeared, as an irate cockney realized Abigail was not working exactly as commanded. "This is how you must do it. Watch me ". Abigail eyed Madame. Here was Madame no longer young, and certainly no longer with a lithe figure, trying yet again to demonstrate a step they all had performed thousands of times, even if not perfectly. Was she teaching because that was all she could do, she needed the money. She was said to have stopped dancing on stage after injury. Perhaps it had been for the best in the long run if not for Madame personally that she was injured, if she had been injured. At least she and the other independent studios catered for those highly trained dancers, jettisoned by the School because they were different or had not gone to the Junior School. No matter how good the individual or what special talent they might have, perhaps a talent needed by the School, out they went after a certain time. Maggie plonked out the first bars of Giselle's opening solo. Abigail was at last moving freely around the room, dancing almost as if on stage, dancing for a few minutes in joyous delight. She was young, innocent, loving. Her body, that classically trained body could easily, too easily perhaps, show a character passionate and trusting. Madness would come later. The Dance for a few seconds was Being. Abigail wiped her face. Maggie banged out the first bars again. Joanna's turn. Yes she, Abigail would go for a walk this afternoon, walk thorough parks and streets, squares, walk by the river. She did not want a crippled body. Just how many girls had been crippled for life because of ballet. Her fingers tightened the band around her bun. She could think out the next steps for the one act ballet she was choreographing or perhaps the Vivaldi variation. Whenever Abigail talked about the choreography she would like to do or had done, no one was interested. It seemed she was not supposed to think, ask questions. First though she would ring up Rosemary, arrange to see her in a few days. . The pas de deux class this afternoon would be a farce anyway. Neither Frank nor Andre had turned up for this morning's class. Too busy dancing somewhere else. Male dancers were always in great demand especially if they were any good. Madame was however still going to have a class with only Stevan, would charge as if all the men were there. Stevan was a reasonable partner, strong physique, good musical sense. Had a nice face, not handsome but nice. It was useless though with only one man and six or seven girls. A bit better at the School where it was usually three to one. Rosemary had been injured during a pas de deux class. Abigail was spinning now, fouettées. Stupid things but one had to do them. They were part of the performance. The public liked them. Why did the public not do them themselves then? May as well be a performing seal. What on earth was happening? Madame was waving her arms, Maggie thumping the piano louder than ever. She continued her fouettées the room flashed vaguely around her. Ah, Sophie had burst into tears and was storming out of the room. Abigail finished her 32 fouettées. Madame did not notice. Oh Stevan was making a clapping gesture there by the rosin box, and smiling. “Class ended” Madame announced abruptly. She left the room. Maggie followed her. In the ensuring silence Abigail walked over to the mirror by the window and gathered up from the floor her towel and other pair of ballet shoes. Would Sophie go home now? And stay at home. Abigail could not easily do that, even if she wanted to. Her home was far away. She trained at Ballet, it was what she did, had to do. It was her duty. How had it ever started, she should have never started it. But then she hadn't started it, had she, it was decided for her. What choice had she? Was it not her duty. Abigail looked at herself in the mirror. A slight creature, medium height, well shaped long legs, small hands, fair hair pulled back from a high cheek-boned classical dancer's face. Pink tights, black leotard, pink point shoes. A figure lost in an adult world of lies, desire and greed, fantasy and self destruction. The room darkened, the mirror held no reflection, shadows everywhere. Deborah slowly lowered the peasant dress from the front of her eyes and looked directly into the mirror at her own face. She smiled at herself. Giselle, dressed for the first Act, smiled back at her. She would have made a good Giselle, better than Abigail. The glass head nodded in agreement. The woman placed the dress to one side and picked up an apron, Giselle's apron. It looked rather tatty now. Bits of thread hanging from its hem, one ribbon tie nearly off. Deborah remembered how much effort the teenager Abigail, no expert at sewing, had put into this, this fancy dress costume. She, Deborah was much better. Abigail had asked for her help that Friday afternoon as the performance was on the following night and the costume was not finished. She, Deborah had been far too busy to help, getting ready to go away for the weekend. She left the girl sitting all hunched up over the material. Apparently the performance had been good, and an aunt when she came to see them that Sunday evening after she, Deborah was back, even commented on Abigail’s costume. Later when Abigail, tired from the Saturday night performance went to bed, the elder sister explained in precise detail to her aunt how she had managed to make the costume, doing the apron with very short notice. Deborah often discussed with people just how much she had done on Abigail's various costumes! The middle aged woman grinned at herself in the mirror. Untrue of course but people were so gullible. And now that discoloured apron with its hem coming down, was in her hands. The dress itself, torn, faded, puffy sleeves flat, lay exhausted half on the bed, half off, its edge touching the floor. Deborah put the apron down, sat comfortably on it, pushing the dress itself away. She watched it slither slowly on to the floor. Foolish Abigail. Deborah enjoyed rummaging through Abigail's costumes; her sister had always so carelessly trusted people. She had looked after the costumes and a few other bits and pieces for a year or so now. These days Abigail lived in a small flat. Once or twice her sister had asked about them, and she had replied they were fine where they were. Dresses, shoes, hats, even tights, were under her control. Deborah could use any of them at any time, and in any way, if need be. Ballet had been very good to her. What would life have been like without it? She heard her daughter coming up the stairs. "Here are the costumes I was telling you about. Abigail will be very happy for you to have them. I always helped her whenever I could. I made this apron for her. She could not sew at all". Deborah pulled the old apron from under her "You and your friends can sort through this box and take any costumes you like for the school fancy dress. Abigail won't mind. She never dances now ". She showed her daughter the dress. "And she most certainly could not fit into this." The mirror reflected a bland round face, tight lips, watchful eyes, longish nose and carefully curled grey dusted brown hair. The Giselle peasant costume swayed lightly in the air gathering itself towards madness. Perhaps Abigail could be certified? "Oh thanks mummy. Mrs. Williamson will be so pleased. She asked us to take extra costumes if we could". Deborah nodded complacently as her daughter started rummaging through Abigail's box. How would she, Deborah, play this? Life had become boring lately. Ballet in the old days had always jollied things up for her - one way and another. Abigail had taken it all far too seriously, seemed at times even to care, believe. That added to the fun. The face smirked at itself in the mirror. It held the dress up again. It would think of something. “I'll order in a minute." Abigail smiled at the waiter standing beside her in front of the mirror, a dancer surely. He moved away. The mirror reflected Abigail again. Her face, that classical dancer's face, had not changed a great deal over the years, yet she was old middle aged now. Her hair, still natural blonde resembled in general the hair style of the girl in Madame's class, no tight bun though. A large contemporarily fashioned comb in the shape of a fan gathered it loosely up behind her head, wisps of fine hair daring to twirl all over the place. Her dress of cheerful water colour wash silk was well cut in a flowing style. Light beige summer sandals showed off small arched feet, a dancer's feet. These feet could still fit into a pair of pink satin point shoes, perform steps in them. She had tried on her only remaining pair a few days ago, probably as a way of preparing for today. Her figure thank goodness was no longer that pencil-thin one of a dancer, Abigail had no desire to wear pink tights and black leotards again. Even so she could image up the dancer easily enough. The woman sipped her cappuccino. It was hot, tasty. Here surrounded by elegance and expense it was easy to relax. Mirrors about walls, glass in window and roof, flowers, the Ballet World as it wished others to see it. For Abigail though, a thin girl sweated behind the opulence. Here, today, for that mirrored figure from a stuffy studio, was another act in a long running drama. It would be a dual performance, of equals, one on stage and one off. For the first time in well over twenty years, Abigail was going to watch ballet. And it had been her free choice. Abigail's eyes moved slowly back to her reflection. There had been little choice in those days, no real choice. No way out then, that morning. No matter what that thin, too thin girl, for that was what she really was, not some other-worldly sylph, achieved, having first worked hard to accomplish it, nothing positive happened. She was just a figure in other people's lives, a walk on part in some other person's dreams, an outline in a studio mirror. Where had the real person been all those years, had she existed mentally somewhere else, in a kind of limbo, or had she really lived each day then, an innocent abroad, used by everyone? Abigail clearly remembered the physical stress of an overworked body; that throb of hot muscles, stretched tendons, torn ligaments, bleeding toes, nervous exhaustion. And yes angry frustration. Was that really it? There HAD been something else. She had not accepted the necessity, or the need, for ritualistic obedience to Authority. A part of her mind had remained aloof, able to see the crudity, and the growing sterility of it all. A creative artist watching, a would-be choreographer working out steps for her own ballets in spite of being ignored by the School, Madams, the establishment in BALLET. That particular morning, that morning of Sophie's breakdown, Abigail observed and remembered. She was to see - and feel - Sophie's blank stare several more times. Ballet had such power to isolate an individual from normal life. Many of the dancers were highly sensitive, vulnerable. Ballet, or those who controlled it, demanded everything. Of course dancers, girls and boys, cracked. And yet somehow, she, Abigail, had managed to survive. And here she was preparing to see Giselle again. That afternoon, so long ago now, after trying first to help Sophie, Abigail walked by the Thames. No one had been able to do anything with Sophie, certainly not Madame. Sophie had sat in the scruffy dressing room glaring out of the grease-spotted window, silent, frozen. She, Abigail had left the building, crossed the street and rung Sophie's mother from the public phone box. Mrs. Hayward did not seem altogether surprised. Was that what had shocked Abigail most about the whole affair? They all helped Sophie dress, put her in a taxi, she refused to let any one go with her and waved her off from the studio. She never went back. Rosemary never returned to the studio either after her accident at the School. After Sophie left that day, Abigail drank a milky coffee in a cafe, close - geographically, certainly not atmospherically - to where she was now, in the Covent Garden market. It had been pulled down years ago. After that she had rung Rosemary. Rosemary cried over the phone, was in pain, needing to see the doctor. Abigail visited her a few times, talked with her mother too. Then they went home, back to New Zealand. Abigail kept in touch with the family for some years, heard she was able to walk again, first with two sticks, then clumsily, slowly, unaided. One year there was no Christmas card. She continued to send a card each Christmas for a few more years. No response. Abigail had lost contact. "Yes I can recommend the salmon and side salad". The young waiter took her order, how like Stevan he was with a mob of black hair, good physique, kind eyes. Poor Stevan. He had been getting along so well with Rosemary. They were both far from home and obviously enjoyed each other's company. When she injured her spine, Stevan had been so attentive. 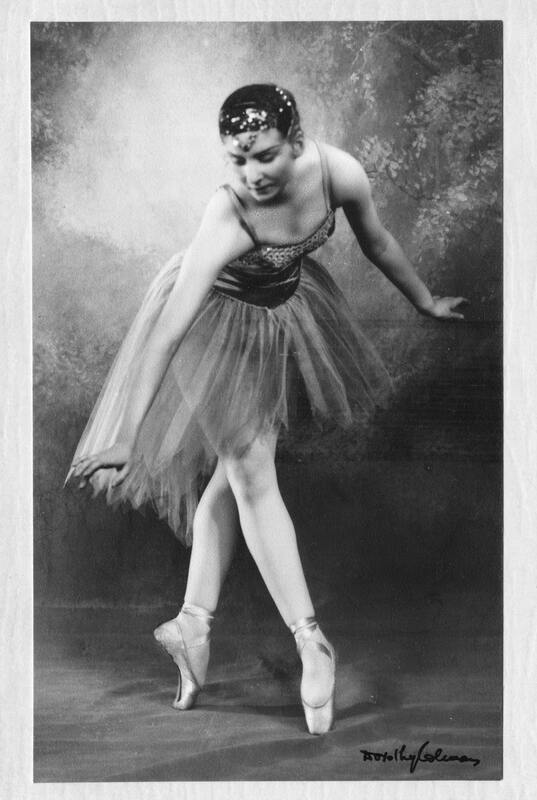 After Rosemary went back to New Zealand he seemed to lose interest in ballet, often missed classes. Then one day there he was taking Madame's class. A few years after that Abigail heard second hand, she having stopped attending any of Madame's classes, or any one else’s by then, that Stevan and Madame were married. He must have been at least 20 years younger. Then she heard Madame had closed her studio - disappeared. So many ex-dancers did that, just vanished. Was there an island or somewhere they all went to? Had Rosemary ever found out about Madame and Stevan. No dramatic event brought Abigail's ballet career to a halt. There had been a struggle over several years, perhaps ever since she began ballet classes, an internal struggle with some unknown identity that at times had threatened to devour her. It had no name Abigail was never sure exactly what she was fighting, if it was a person or a thing. Gradually part time jobs, travel, study, occupied much of her outer life, yet she still considered herself a dancer, worked in classes, went to performances. Then one day it was over. That peculiar sense of feeling guilty about something had gone, that sense of duty towards someone, something unknown, had vanished. Nothing any longer compelled Abigail to force her feet into point shoes, warm up at the barre. She could not even remember the last time she had a class with Madame, danced at any other studio or at the School. No idea. One day she must have just stopped. Not though before she had choreographed several variations, including one danced to Vivaldi, and arranged much of a One Act ballet. Abigail had performed in them herself. No one had even been interested, really interested in her, either as a dancer or a choreographer. "Not now Abigail, another time. I am too busy today." It was always the same. Yet those men and women were well paid, supposed to be teachers concerned about the future careers of the young dancers in their care. Why did none of them ever think to talk to her, really talk to her, find out what she was doing, thinking. The Ballet world did not have to be devoid of intelligence, empty of intellectual discussion. Art, real Art was never stupid. Abigail leant back in her chair. That WAS much of the trouble. No one was supposed to think, there had been no place for any one like her, with a mind as trained as her body. Was it any different now? Was it really just money the School - all of them - had been after, and a swift turn over of students, thus allowing no one to understand what was often going on behind the shining veneer. It was difficult to criticize before one knew. Money, and a certain international reputation, particularly in the Commonwealth, was all that seemed to be desired. So a few, very few, were chosen from abroad to dance in the companies, all the rest were just numbers in a system. She looked across the spacious glassed and mirrored room, across to the window. Thank God for windows. It was hot outside today, out there in the real world. And the sky was blue. A faint smile, a cynical smile quivered about her lips. Only last week she had read an article concerning the lack of English speaking choreographers coming to maturity. Apparently even the School was worried! How much talent had they wasted, perhaps were still wasting. Did this waste arise from lack of real vision, self conceit, stupidity, spite? Surely the original Madames and Dames had vision? Probably much of it arose from the human desire to control, have Power. BALLET leant itself to POWER. One needed studios, painters, musicians, and the Dance quickly exhausted flesh. Probably too the inability of most human beings to be original for long helped make a hole of spiritual emptiness circle and expand until souls were trapped. Only real creators could be original and self sufficient for long. Of course Administrators and creators did not mix very well, and yet Ballet needed Admin. men and women. Abigail had come to believe Art had had very little place in the Ballet World when she was involved in it. Who knew about today? Too few choreographers would not be helping the situation. What had been so strange when now one looked back was the inability of those at the top to put their words into action. It was recognized ballet in England was a young Art form when compared to France and Russia and thus needed intellectual support in several ways. Yet any one with obvious intellectual capacity, as well as practical dancing ability, was ignored. A woman walked past, nodded and smiled. Oh dear Abigail thought, I do not know the lady but I must still look like a dancer, some one another dancer should know. 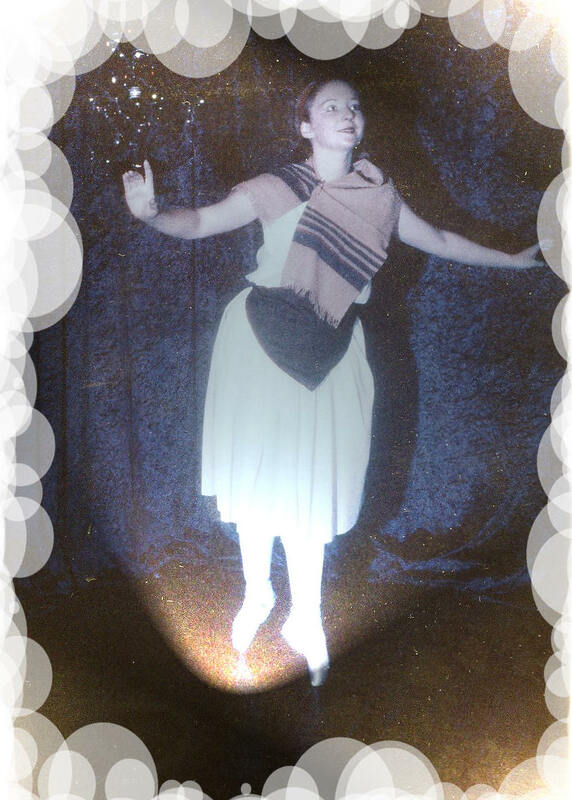 She smiled back, a middle aged sylph in ballet dream time. Would the prince, Albrecht, walk past? No need for Hilarion though, she had been her own Hilarion. Blunt honest Hilarion. She had thought of Hilarion earlier in the day, while glancing at her transparent self reflected in the window of that famous ballet shop. Still important, there it stood occupying its corner position in the heart of the West End. Beside Abigail's vague outline, was a dainty tutu, on an even daintier model, several pairs of pink points arranged in tasteful display, tights, leotards, practice tunics, all the dancers' paraphernalia. She had frozen a second, then moved on. Why had Hilarion been cast as the villain danced to death by the Wilis? After all he was only trying to tell Giselle the truth. But it seemed one did not tell the truth in BALLET. One had to be a Giselle in love with a betrayer. The ending of Act II was all very fine and romantic, but before that Giselle had gone mad, and killed herself. Just how many insane Giselles had there been in real life? And what happened to all the honest Hilarions. How many of them had drowned in lakes? After that mirrored window glimpse of a nightmare world behind bland elegance, Abigail had stopped at the fancy dress costume shop. Dracula capes, crowns, princess’s tunics, Elizabethan ruffs, chain mail armour, Venetian masks, Hamlet tights, peasant dresses - one could have been Giselle’s - jostled for position in front of the window. She stopped longer here imagining the characters in their various costumes playing out the multitude of roles, often deceitful roles, men and women could and did play. In a curious way this shop had a touch of reality about it. Pretence was openly acknowledged, the charade of much human existence accepted. Abigail frowned and kicked the restaurant table leg with a sandalled foot. The Dance was not fancy dress the living of it for individuals was not play acting. No. It was not. Time shuddered back. 20 years ago. Deborah! Reflecting windows mirrored Abigail standing in her sister’s large kitchen. “Where is my Giselle peasant costume?" she was asking. “Your Giselle peasant costume” her sister said “your Giselle peasant costume. Oh yes I gave it to Marcia. Her Headmistress was anxious for extra fancy dress costumes.” The words continued. “Marcia and her friend had a great time rummaging through them. I went through them too." “Why couldn’t you have just asked me” Abigail had managed to say. "You would never fit into them now." Deborah replied. And then she had turned and in that turn Abigail glimpsed her sister’s face reflected in the mirror by the door. Abigail kicked the restaurant table leg again, frowned, and stared across the mirrored room. Was it really only then she had realized something she should have understand a long time before that not only those actively involved in the Ballet World manipulated ballet for their own advantages. Deborah had played with it - and her, Abigail, for decades. The kitchen mirror had showed it all. “Was the salmon OK?” a concerned voice asked. Abigail eyes can back from the past. "Oh yes thanks." "Would you like anything else?" the waiter continued, “another cappuccino perhaps?” Abigail smiled and nodded. The coffee arrived. Abigail thanked the young man. 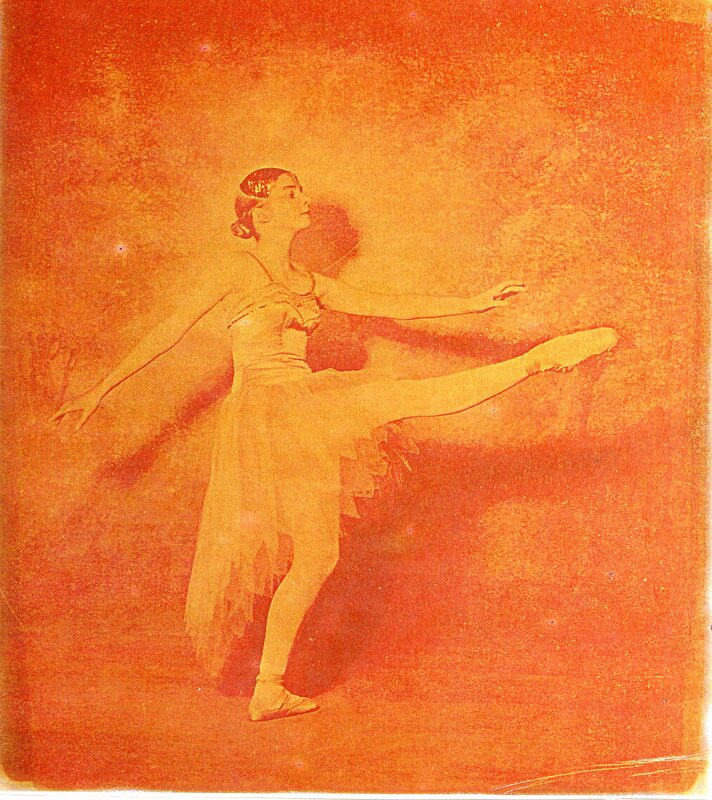 Just how many people had used 'Ballet', were still using it? Was any one using that young waiter, his mother, brother, friend? At first too young to question, let alone even understand, Abigail went to dancing classes with her mother, skipped about with other children. It was fun dressing up and acting on stage in pantomime. 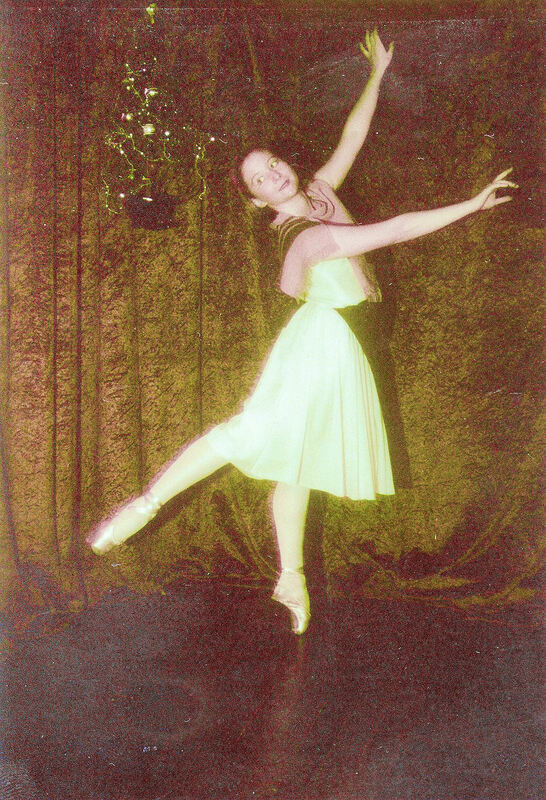 It pleased her mother, who happy to be part of the drama of a dance studio, talked and laughed with other mothers, all of them probably in the dream time of Ballet. Years went on, Abigail continued her ballet lessons, it was by then part of the family routine as much a part of their week as visits to grandma. Grade exams were past, elementary, intermediate. She had solo roles at Christmas pantomimes, concerts. It was just something she did. Was it then that a sense of duty was so ingrained in her? 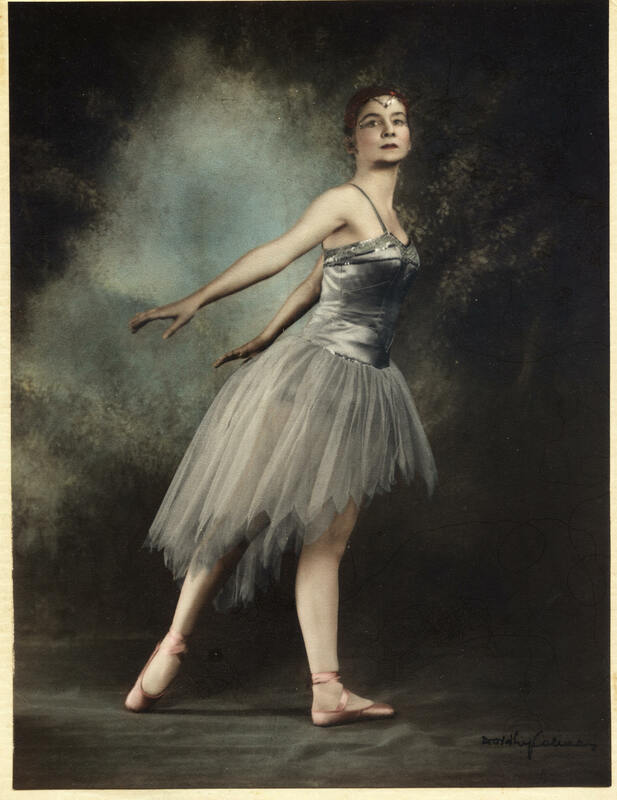 Yet as a child she loved to dance in their garden beside trees and water, under a blue sky, listening and dancing to the music played by a band in the nearby park - perhaps she should have been another Isadora Duncan. And she loved music. 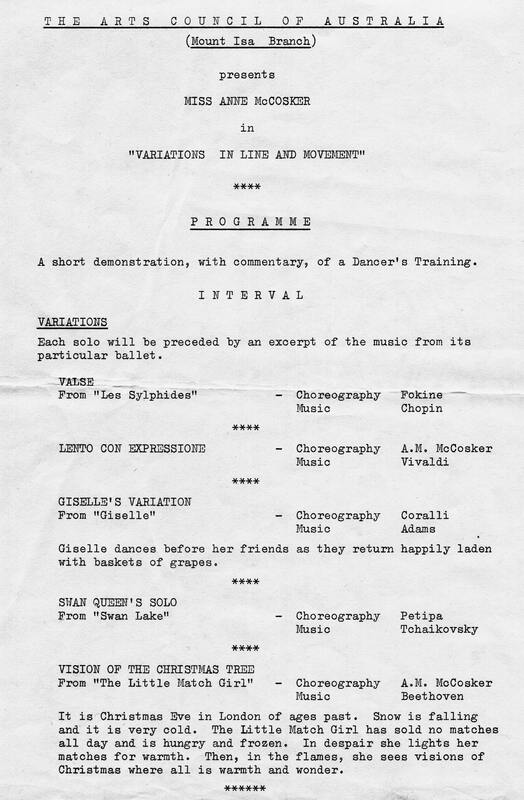 There were some wonderful scores for the dance, Stravinsky's Petrouchka, Adolphe Adam's Giselle. The best pieces could even inspire a bad accompanying pianist at times as he or she thumped out the music for a particular solo taken from some great creator. Abigail loved the rhythm, the ability to become part of a particular bit of music, move with it. And then there was the triumph of the mind over the body, the ability to dictate to legs, feet, arms. They would obey and one would soar into become the Dance. Oh yes that was exhilarating. Abigail glanced across the restaurant to the tutu in a glass case. Whose had it been? She could not read the label from here. It was displayed beside a collection of feathered hats. Into that glass case a face reflected from a kitchen mirror suddenly appeared. Deborah! And she Abigail had never noticed that expression in how many years, an expression that said it all. It seemed impossible now to understand yet that it was true. Love was indeed blind. Her sister obviously had done very well out of ballet, no hard exhausting physical exercise, no loneliness far from home, no struggle in a stuffy, ego infested studio. Deborah used Ballet as had all the rest of them. Of course her sister knew how much those costumes meant to Abigail, she had deliberately let her daughter use them. Then she had suggested her sister check them out to see if they needed more moth balls. Yet Abigail’s old costumes, symbols of years of sweat, lost time, heartache, despair, were in a horrible way Deborah's. It was Deborah who had prolonged by several years Abigail’s struggle to be free of Ballet, prolonged and intensified it. Once their mother was dead she had used her younger sister’s talents as a dancer to help herself, Deborah, come to England careless of what was best for the much younger girl or the effect it would have on Abigail’s own real career path. Was there something latent in Ballet that allowed the unscrupulous to manipulate with such ease so many people? Did it happen in the other performing Arts? Why was there such a lack of responsibility towards so many young people from teachers, parents, relations? Why was there so much selfish ambition, greed, jealousy, hate? How many dancers felt they had ended up as some one else’s fancy dress costume? Did Sophie feel this? She still saw Sophie occasionally floating round much as she had done at the School, or Madame’s studio. She never married. Perhaps she would never have led a normal, ordinary life. Perhaps her life was indeed interesting to Sophie, herself, not to be judged by the usual standards. Abigail knew though Sophie's mother blamed Madame for her daughter's condition. But why had Sophie ever got so involved with ballet in the first place. Art could not be trifled with. Surely Sophie's father knew that. Abigail never did get her portrait painted. He continued to paint and sell portraits of Sophie in ballet costume. Giselle, Coppelia, Le Sylph. Were those clothes hired from that fancy dress shop in the West End or did he just take them out of Sophie's room? Had he ever painted Sophie as the Doll in Petrouchka with himself as the showman? Abigail looked into the large gilded restaurant mirror near her table. Deborah had not realized other people matured, grew up, even if she didn’t – and most ironic of all - that her sister was a genuine artist. Abigail stood up. Her refection stood up too. There was no shadow anywhere. Poised in front of that ornate mirror she thought of all the great dancers she had seen, of those moments when Dance took control and she was part of it. Lovers soaring in disciplined desire, a Prince commanding with his leaping power, the desperate sinking down to death, imperial pomp of balls, earthy harvest festivals, winter fair ground puppets, pure line of limbs entwined. 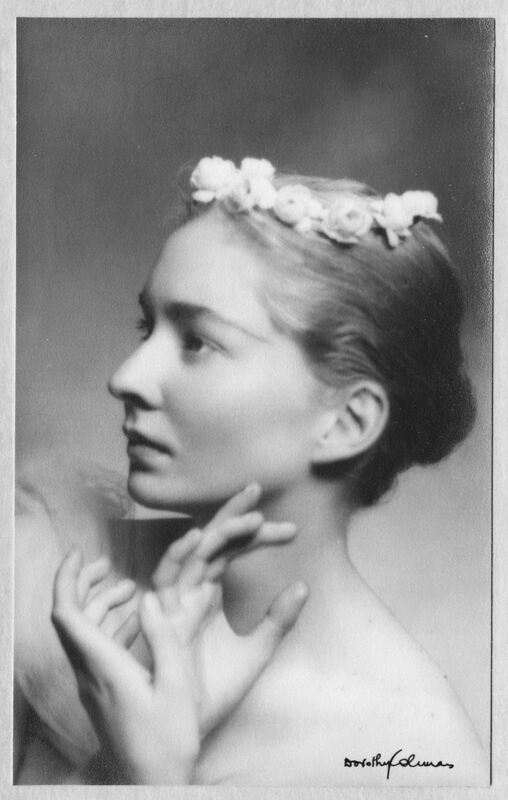 Those moments when Abigail, joyfully apart of them, showed despite the Ballet World, herself as the artist, the dancer. She turned and let her eyes roam round that beautiful room, gaze out of the window. Abigail walked to the counter to pay her bill. Reflected in the mirror above the bar she saw the young waiter standing by the far window. He waved. So like Stevan. She smiled and waved back. The auditorium was filling, the great curtain waited. Beyond those rich folds with their royal insignia, the corps de ballet and the soloists would be warming up. Giselle, Albrecht, Hilarion, would be busy too preparing for the drama ahead. Abigail, as she breathed in the familiar atmosphere was also quietly preparing. Soon she could watch Giselle dance. And there on stage, in the orchestra pit, among the audience, within herself, Abigail could live. She would be watching of her own free will. All the Deborahs, Madames - those endless Madames, the School, all of them, were welcome to her costumes. She did not need them. She would be rejoicing in the spirit of Dance, naked of costume. Abigail had always loved that spirit, that Art form bound into rhythm, growing out from it, yet independent of it, called Dance. In its grandest personality it occupied the opera stage, dressed itself in marvelous scenery and dress, cast spells on men and made them master choreographers. It made use of mighty orchestras, and painters, enthralled a million people. And when about a cross, the corps de ballet of Wilis shadowed their arabesqued line through a moonlit wood, ancient pulses woke to mirror out the Ages. Independent of all the School's rivalries, and Madame's jealousies, it, the Dance, lived way beyond the understanding of the Deborahs of this world. Love of the thing in itself, its elemental essence, love for something that had so distressed Abigail for so long, had kept her safe. Soon the curtain would rise, a door open and a young girl, fresh, innocent, full of love and laughter would dance on to the stage. She would be betrayed, but in betrayal her love remained. And Abigail, who loved to dance, could dance with everyone, especially Hilarion. Mirror out the Ages. The dying swan in Swan Lake may really be dying for a cigarette, a bar of chocolate and glass of beer, according to a health survey of Britain's dancers. The apparent visions of athletic grace gliding about the stage frequently suffer serious consequences from un-healthy lifestyles and poor fitness training. More than eight out of ten professional dancers are in­jured each year because their bodies are left vulnerable by poor diet, long hours and draughty rehearsal rooms. They are also more prone to colds and flu. Some are said to be only marginally fitter than the average person. Dance tutors are now being encouraged to break the bad habits, pursued since the early days of ballet in the court of Louis XIV, and adopt the lessons of British Olympic sport science, including the study of anatomy and warm-up techniques. The study Fit to Dance? was supported by Dance UK, the national organisation for Brit­ain's 25,000 professional danc­ers. It surveyed 658 ballet, contemporary, jazz and tap dancers and dance students, watched 250 performances ,;and conducted fitness and nutrition tests. The research­ers concluded that dancers in Britain were less aerobically fit than counterparts in the United States and Russia. The dancers' >own definition of fitness tends to mean flexibili­ty rather than stamina and endurance. Diets were found to be notoriously unhealthy, with too many still believing the myth that "food is the enemy". One dancer told researchers: "It's chocolate, cigarettes, Kit-Kats . and Coke". They eat more fatty foods than other sportspeople and fewer fruit and vegetables. To replace fluid, they mistakenly drink strong tea, coffee, beer, lager and wine. Forty per cent of the men and 36 per cent of the women admit to smoking. The report says: "Some begin smoking only upon arriving at school, partly to cope with the unfamiliarity and pressure, partly because it is socially acceptable and partly to suppress appetite." Professor Christopher Bannerman, one of the report's editorial team, remembers how he was left incapable of tying his shoe-laces for three months because of a back injury with London Contem­porary Dance Theatre. He trained with weights in a gym and, when he returned to work, found: he had become much fitter:','! leaped into the air and wondered why everyone else was going down to the ground so soon. I was fit for the first time." Professor Bannerman, now head of dance at Middlesex University, said: "Some danc­ers are marginally more fit than the average person in the street in terms of aerobic fitness. They, say: 'I want to express myself and look beau­tiful — I don't want to jog'." Half of the dancers sur­veyed had chronic injuries from early in their careers. The cost can be high. One commercial management spent £38,000 on understudies and extra rehearsals to replace injured dancers. 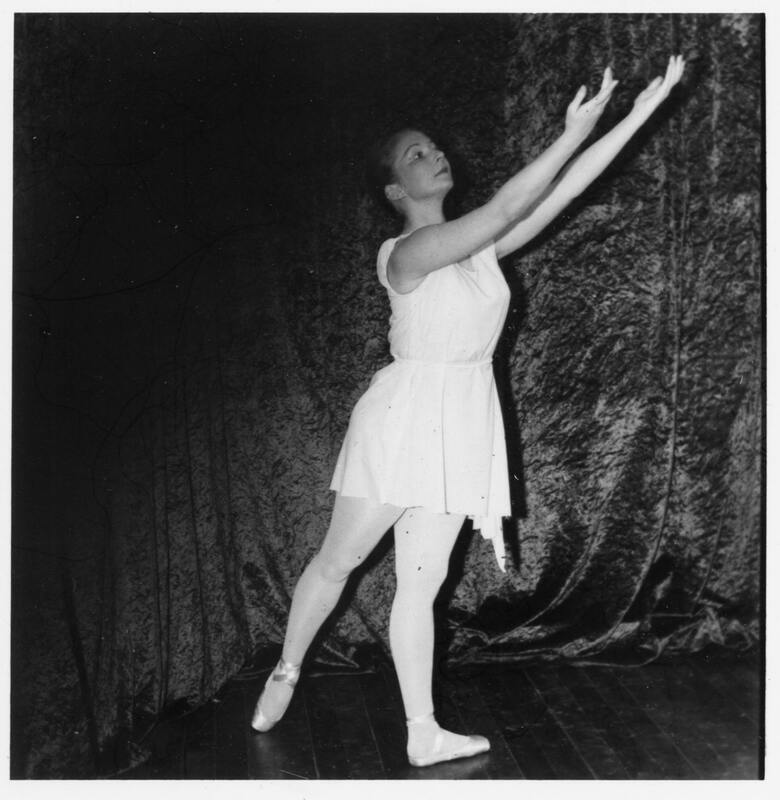 However, Shirley English, physiotherapist to the English National Ballet, said a new reluctance to teach full plies in classes could put dancers in danger when they faced a demanding sequence: "If you don't put them through that movement, they will have their kneecap* pulled off."